Please send us a Email regarding any questions or concerns. Please Include your Phone Number and best time to call you. •Interior Commercial Painters: The majority of businesses these days make their workers slave away in a building that has the design of one from the 1980s. Even one from the 90s is not good enough for us! 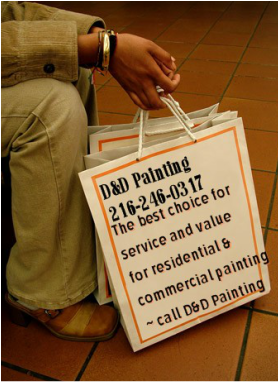 Let D&D Painting enhance the aesthetics of your home with a brand new look and design. We know our stuff and we can make sure that our painting fits with the ethos and aims of your company. Like you, we’re professionals and we endeavor to be quiet and unobtrusive whilst we work, so we don’t disrupt you. •Exterior Commercial Painters: The outside of your business is like your calling card. Fair or not, customers will get a first impression of you from this. Plus it’s not just in person your customers can do this. With all the digital technology available these days, the outside of your building is going to gain more exposure than you thought. Let D&D Painting make this right for you and give it a memorable paint job. Our Cleveland painting professionals with the knowledge and expertise and this is replicated in our work. We deliver a top-quality job every single time and respect your privacy at all times. Like you, we’re here to work. •Putting long-lasting coatings on things like floors, doors, and railings. Call us today for a free on-site estimate at your convenience or contact us online. Color obviously is a vital part of any paint job and we have the relevant expertise and knowledge to get it just right for you.